November’s VLCC Meg programme was concluded last week with some 132 cargoes fixed, volumes not seen since January. We are currently between months and as usual activity is a bit subdued, Fearnleys said in its weekly report. A couple of December deals were done, but basically BOT cargoes and rates were concluded at last done levels. Saudi stem-confirmations could possibly be out by the end of this week. WAfrica/East activity was also a bit slower, but owners were resilient and rates remained stable, as optimism was still in place for the winter. Suezmaxes experienced steadily eroding rates over the past week, with WAfrica slipping from the low WS80’s down to WS72.5 for TD20. End November cargoes were thin on the ground and other areas remained quiet allowing tonnage to build up. Owners earnings were further eaten into by increasingly expensive bunkers adding to the pain. The earnings are now below the $10,000 per day threshold. Thus far, the Turkish Straits delays have been unseasonably minimal, although this is expected to change in the weeks ahead of the winter months. There is a glimmer of hope in the Med and Black Sea, where there was a sudden flurry of action with Aframaxes and lists tightened. This was the trigger a year ago for Suezmaxes and owners will be watching with keen interest for any opportunity to capitalise. The week ahead has a softer feel but this could turn around on increased volume or weather delays. Norwegian meteorologists are guessing that there will be a warm start to this winter season, and North Sea and Baltic Aframax markets should be moving sideways heading towards December. The fact that there is a five- day maintenance period coming up at Primorsk undermines the ’bold’ statement above. The Med and Black Sea softened last week and has remained rather flat ever since. However, it is looking to firm up next week again, as tonnage is quickly being picked up for early 1st decade, leaving the cross-Med cargoes with fewer options going forward, Fearnleys concluded. Crude tanker freight rates are expected to decline further next year, following a sharp decline in 2017, according to the latest edition of the Tanker Forecaster, published by shipping consultancy Drewry. Although crude tonnage supply growth is expected to be low next year after surging in 2017, this will not be enough to push tonnage utilisation rates higher, as demand growth is expected to be sluggish. A slowdown in global oil demand growth and a likely decline in China’s stocking activity will keep growth in the crude oil trade moderate next year. After a sharp decline in 2016, freight rates in the crude tanker market have declined further this year, despite strong tonnage demand growth in the two years, thanks to a surge in tonnage supply. Fleet growth is expected to come down to 3.2% in 2018, after increasing by close to 6% per year in 2016 and 2017. However, this is unlikely to provide any respite to owners, as rates will continue to decline in 2018 on account of a slowdown in crude oil trade growth. Global oil demand growth is expected to fall to 1.4 mill per day in 2018 from 1.6 mill per day in 2017, Drewry said. In addition, a likely slowdown in China’s stocking activity poses a big risk to crude tonnage demand. This activity, which remained one of the leading factors behind the strong growth in the crude oil trade over the last two years, may fall significantly in 2018. According to the IEA’s data on China’s implied stock changes, the country should have accumulated close to 520 mill barrels since 2015, well above the total special petroleum reserve (SPR) capacity that was supposed to come online fully by 2020. A sharp decline in stocking activity in the third quarter of this year to 0.5 mill barrels per day from 1.2 mill barrels per day in the second quarter suggests that we might see a significant decrease in the inventory build-up by China in 2018, Drewry concluded. In the products trades, Asia’s front-month regrade (a measure of jet fuel’s relative strength to gasoil) recently eased from last Thursday’s 19-month high of $1.58 per barrel but remained relatively strong at $1.32 per barrel, Ocean Freight Exchange (OFE) reported. While the surge in the Asian regrade can be partly attributed to seasonality during the winter heating oil demand season, the bulk of support is coming from the ongoing slump in the gasoil market. Regional refineries have been running hard on the back of robust refinery margins, as well as the end of turnaround season, flooding the market with excess supplies. Unusually high diesel exports from India, despite the end of monsoon season, have added length to an already-pressured market, OFE said. The jump in Indian gasoil exports can be attributed to Indian Oil’s 300,000 barrels per day Paradip refinery running at full capacity, as well as the ramp-up of BPCL’s 310,000 Kochi refinery and HMEL’s 230,000 barrels per day Bathinda refinery after recent expansions. Sentiment in the Asian high sulfur gasoil market weakened further after the release of a new batch of Chinese export quotas, as well as China’s domestic ban on diesel with sulfur content greater than 10 ppm, which are likely to result in higher exports of high sulfur diesel. The increase in cargo demand is reflected in the firm North Asian MR segment. Rates for a South Korea/Singapore trip basis 40,000 are currently assessed at $460,000, some 13% higher than at the start of the month. An increasingly narrow gasoil EFS and relatively high freight rates have closed the arbitrage window to Europe, leaving Singapore as one of the few viable outlets for excess barrels. As such, onshore middle distillate inventories in Singapore stood at 11.55 mill barrels for the week ending November 9, up by 9.7% month-on-month, OFE concluded. Elsewhere, TEN has taken delivery of the Ice Class Aframax ‘Bergen TS’, the last in the 15-vessel pre-employed newbuilding programme. The ship was built by Daewoo-Mangalia and started a long-term charter immediately after its delivery. The fleet expansion resulted in a 30% increase of TEN’s fleet over the last 18 months. The first ship from the tranche, the 300,000 dwt VLCC ‘Ulysses’ was delivered in May, 2016. She was followed by nine Aframaxes, two LR1s, a DP2 Shuttle tanker, another VLCC and an LNGC. With 65 vessels fully operational, TEN’s minimum revenue backlog comes to 1.3 bill with average contract duration of 2.5 years, the company claimed. In the charter market, the 2012-built VLCC ‘Trikwong Venture’ was believed fixed to Koch for $27,500 per day, while the 2012-built Suezmax ‘Decathlon’ was taken by Total for 12 months at $19,000 per day. In the Aframax sector, the 2006/07-built ‘NS Captain’ and ‘NS Columbus’ were thought fixed to Clearlake for 12, option 12 months at $15,500 per day each. 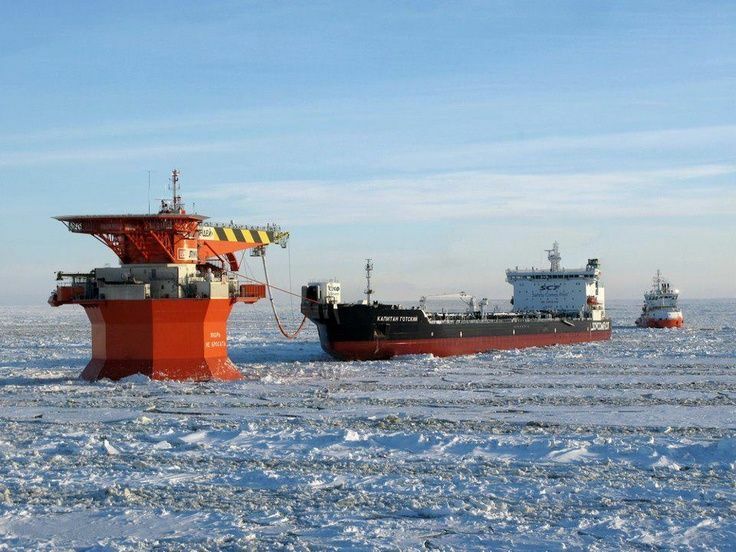 Vitol was said to have taken their near sister, the 2003-built ‘Petrozavodsk’ for six months at a similar rate. PBF Energy was said to have taken the 1998-built ‘Eagle Austin’ for 12 months at $15,000 per day and the 2004-built sisters, ‘Adafura’ and ‘Ashahda’ were reportedly fixed to undisclosed interests for $14,500 per day each. The recently delivered LR1 ‘Cielo Blanco’ was reported as fixed to Trafigura for six, option six months at $13,750 per day, while Navig8 was believed to have taken the 2004-built ‘Theodosia’ for 12, option 12 months at $11,750 per day. In the MR sector, Golden Stena Weco was thought to have fixed the 2017-built ‘Altair’ for two years at $15,000 per day, while Chevron was said to have taken the 2009-built sisters ‘Nave Orbit’ and ‘Nave Equator’ for 12, option 12 months at $13,500 per day. ST Shipping was very active.This charterer was believed to have fixed the 2005-built MR ‘Kriti Emerald’ for 12 months at $16,000 per day, the 2004-built ‘Jasmine Express’ for 12 months at $12,750 per day, plus the 2008-built Handysize ‘Hector N’ for 12 months for $12,000 per day. In the S&P market, brokers said that the 2003-built Aframax ‘Singapore Voyager’ had been committed to Greek interests for $9 mill, while Indian buyers were said to have committed $9.8 mill for the 1998-built Suezmax ‘Cap Georges’. Venezuela: We can't pay our debts anymore!